Commuting across the Loop is about to get much faster when the Loop Link program launches next Sunday. CHICAGO (WLS) -- Commuting across the Loop is about to get much faster when the Loop Link program launches next Sunday. You may have seen these red-colored lanes popping up on Madison, Washington, Clinton and Canal streets. 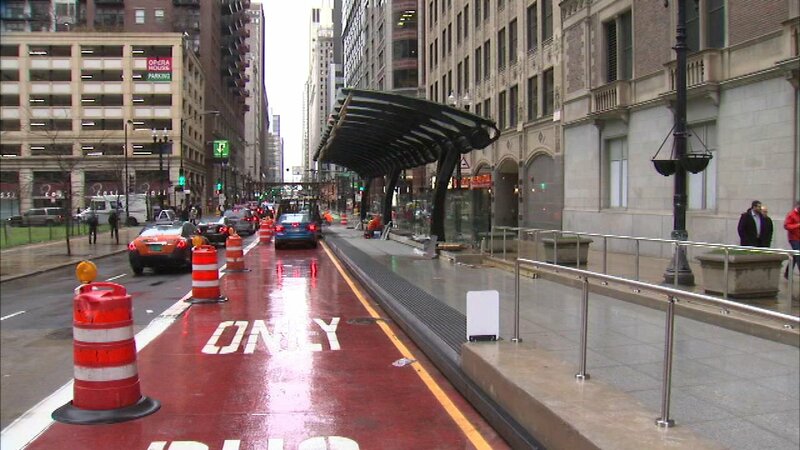 Starting next week, these will be "bus-only" lanes for rapid-transit buses that hook up with Metra and CTA train stations. The city says the program should cut travel times between Michigan Avenue and the West Loop in half.